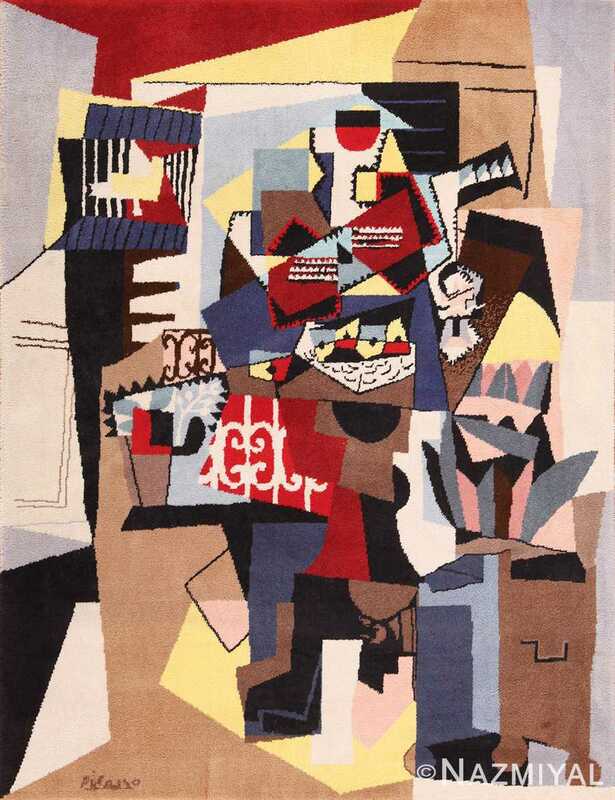 “Musicos Con Mascaras” by Pablo Picasso Carpet, Scandinavian, Mid 20th Century — Bold, original, and adventurous, this striking carpet ensures a singular and impactful artistic statement. 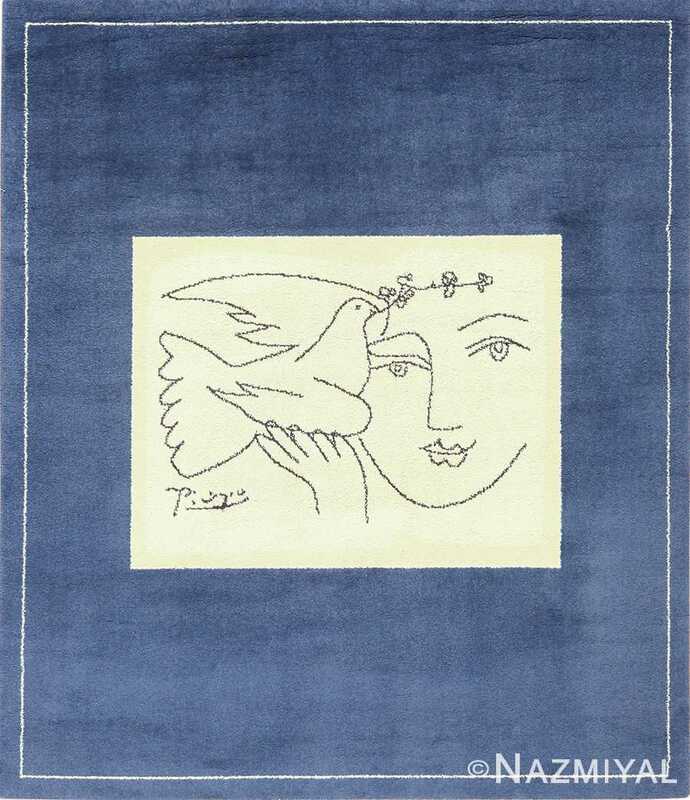 Designed by Pablo Picasso, this stunning carpet features marvelous artwork rendered in the artist’s inimitable style. 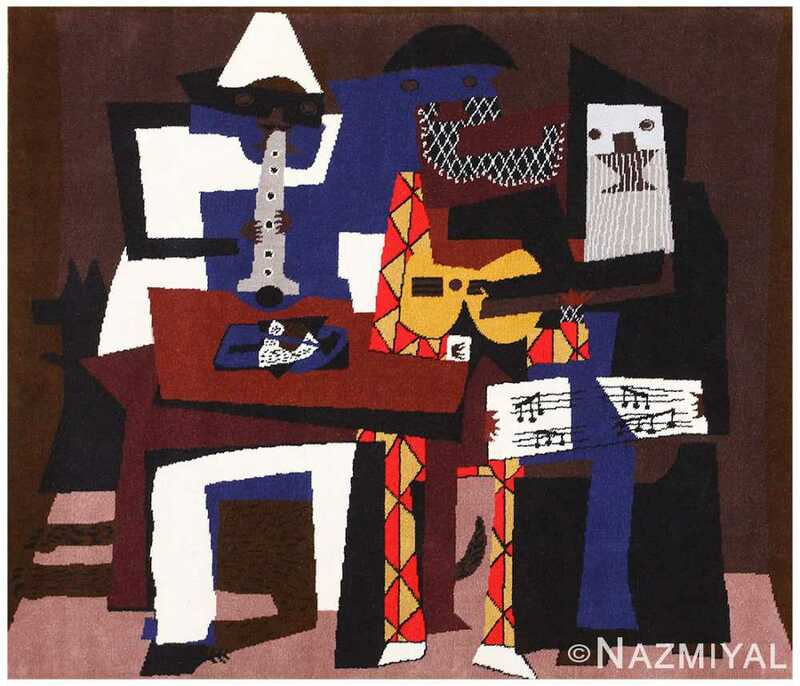 A surreal, impressionistic tableau of musicians and their tired pup dominates the piece, created in Picasso’s trademark magnificently bright and stunningly sharp-edged geometry. 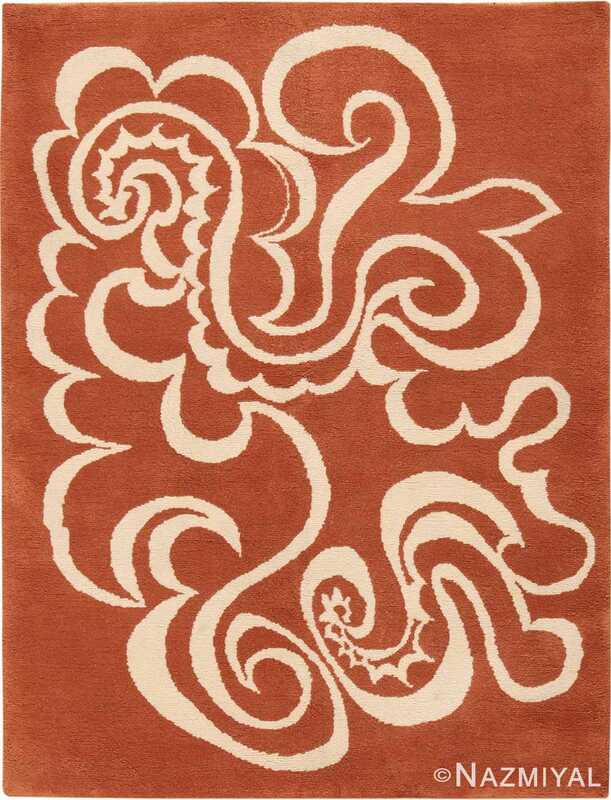 Masterfully executed, the piece conjures the sense of a cantina, dry afternoon dust, and lazy siesta heat. Flawless and rich with unexpected detail and breathtaking interplay of light, color, and shadow, this fascinating piece ensures a stunning artistic statement.